A stunning image with the eye looking right at you, the colors, wing position and BG. 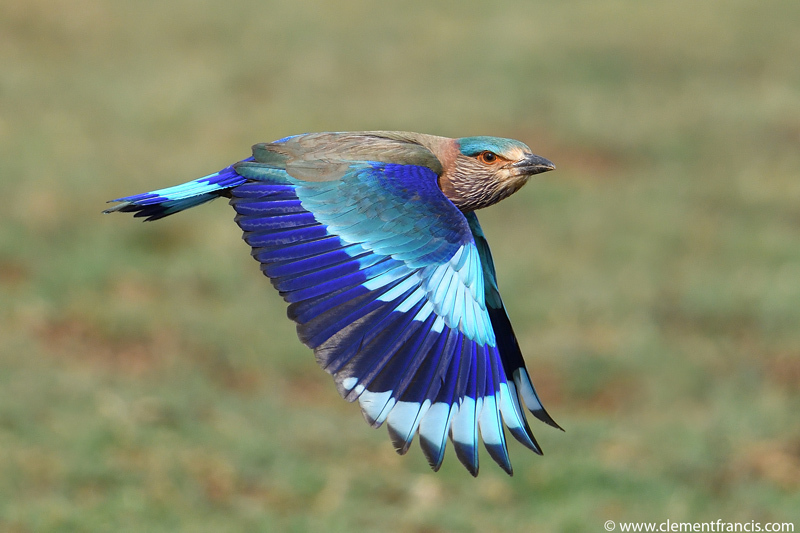 Wonderful to see all the beautiful colors in the extended wings- terrific shot! Class flight shot, massive hit with detail and head tern . Congrats. Great way of showing the colors and patterns. Great work. Excellent wing position. I am enjoying the color, detail, and composition. You nailed this one Clement, a stunner. Remarkable head turn and wonderful detail and definition in the wing. I can' believe the colors on this bird. Just like someone would paint it . Mother nature at it's best. Wonderful capture, Clement! That is one angry looking roller.